The US National Oceanic and Atmospheric Administration makes long-range forecasts each month. We are going to show you these forecasts, but first, a warning. WARNING: Long-range forecasts are rarely accurate. These forecasts cover three months but we know that skiing quality improves and degrades with storm cycles that last a few days to a week. 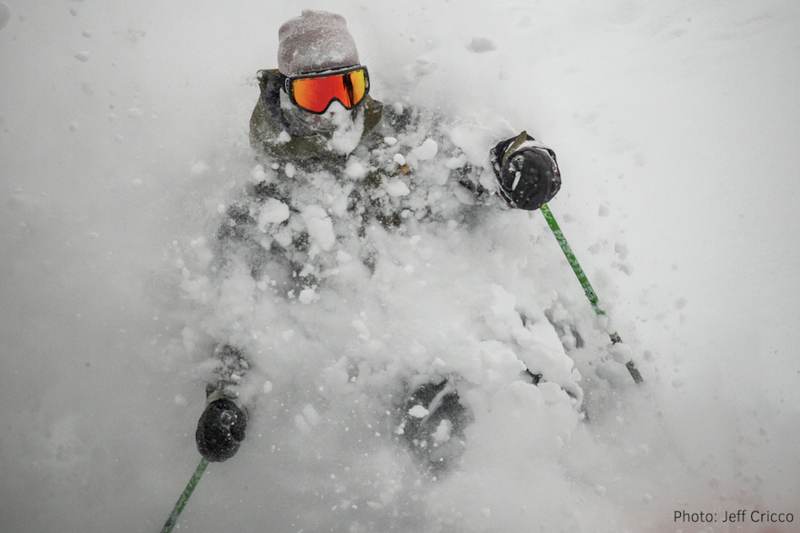 Remember that paying attention to a 1-10 day forecast is the way that you'll find powder. These 3-6 month outlooks offer little to no value for us skiers searching for pow. Warm. This outlook is based on a general trend of increasing temperatures during the past years and decades. The middle of the country is in the white "equal chances" zone, which basically means that the odds of average, above average, or below average precipitation is about the same. If you're looking at the green area across the southern half of the United States and getting super excited for the chance of above-average snowfall, pump the brakes. Remember, 3-6 month forecasts have little to no value but this is the general pattern for El Niño winters. What about El Niño or La Niña? A strong El Nino or La Nina (which refers to ocean water temperatures in the central Pacific Ocean) can help us predict snowfall patterns during the winter. For the upcoming 2018-2019 winter season, there's a ~70% chance that water temperatures will reach above-average (red bar = El Niño) and only a ~20% chance that water temperatures will be near-average (grey bar = Neutral). 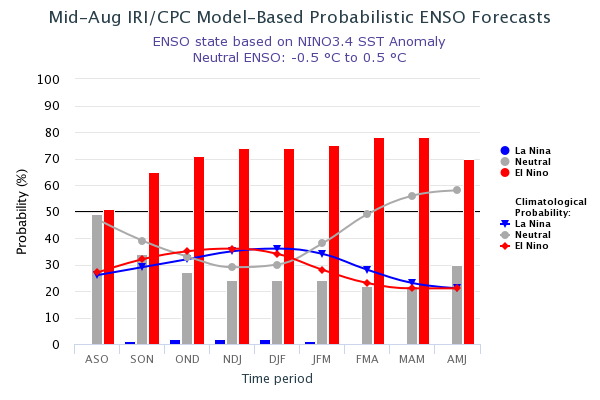 However, most models do NOT show a strong El Nino. Instead, we will likely see at a weak to moderate El Nino. This article shows precipitation patterns during weak and moderate El Nino seasons. 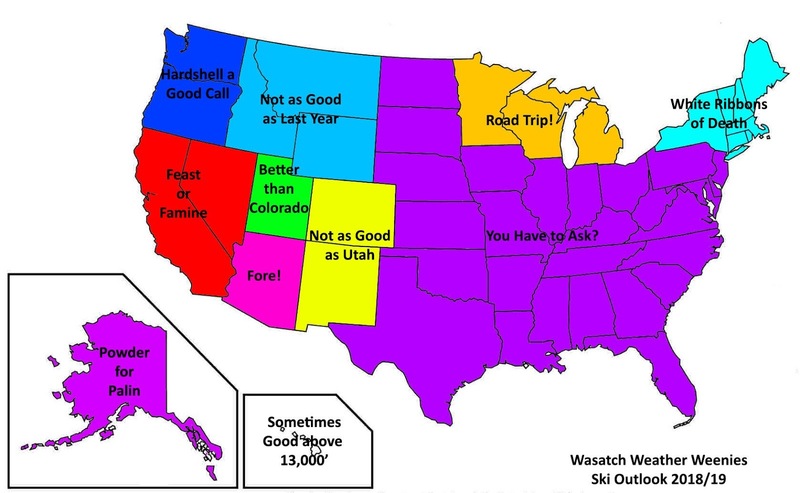 Dr. Jim Steenburgh from Wasatch Weather Weenies released this forecast in early August 2018. Professor Powder (Jim's nickname) lives and skis in Utah, hence the Utah bias. Live in a location that's close to mountains with the deepest snow. If you can't live close to deep powder, wait until 7-10 days before booking your trip. Even if you wait until 7-10 days before booking your trip, consider only booking to a general area. If you have to book a trip far in advance, pick locations that statistics show have the deepest powder. If you can't execute any of the above strategies, change your expectations for your ski trip. Upgrade to OpenSnow All-Access for 10-day forecasts to help you find the pow. As always, stay tuned to our local forecasters and keep dreaming of future powder days!